Sorry... the 2016 Mercedes-Benz AMG S is no longer being sold as new. Mercedes offers performance-oriented AMG versions of the S-Class sedan and coupe. 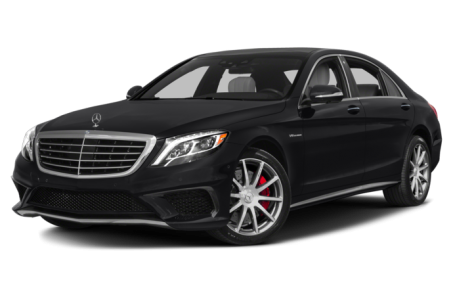 Both body styles are available as the S 63 4Matic with all-wheel drive and as the S 65 with rear-wheel drive. Mercedes' flagship S-Class comes as a sedan and a coupe that seat up to five people. It's available with rear- or all-wheel drive, a turbocharged V-8 or V-12 gas engine, and as a plug-in hybrid with a V-6 engine. Mercedes also offers high-performance AMG versions of the car. The S-Class shares luxury-sedan real estate with models like the Audi A8, BMW 7 Series and Bentley Flying Spur. In addition, Mercedes has revived the Maybach name for an ultraluxury sedan — the Mercedes-Maybach S 600 — that is based on the S-Class and covered separately in the Cars.com Research section. The sedan gains standard near-field communication that enables wirelessly linking a smartphone to the multimedia system. The Driver Assistance Package now includes Speed Limit Assist, which keeps vehicle speed within posted limits. Swarovski crystal headlights are available for the S-Class coupe.